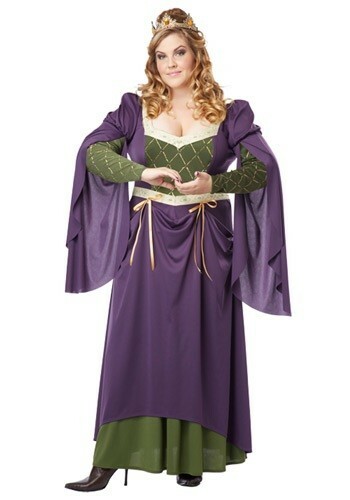 Now you can take a trip back to a time of knights and chivalry in this Plus Size Lady in Waiting Costume. This costume is perfect for a Renaissance Festival! Any queen will welcome you among her intimate circle when you arrive in this Plus Size Lady in Waiting Costume! All you need to do is practice your curtsey for when you're presented at court.